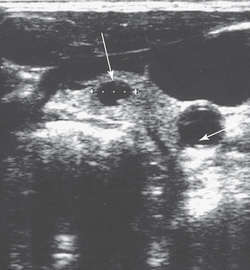 an epithelial cyst containing keratin. Also called keratinous cyst. No keratin cysts are reported in FBP, (20) whereas keratin cysts are seen in BFH, TE, and ICBCC.